Dust off your zoot suit and fedora! This year marks the 20th anniversary of Big Bad Voodoo Daddy, the band that helped jumpstart the swing revival. This high-energy, big-band-style ensemble will have you swinging in the aisles! In its formative years, having secured their legendary residency at the Derby nightclub in Los Angeles, Big Bad Voodoo Daddy reminded the world — in the middle of the grunge era, no less — that it was still cool to swing, big band style. Today, the high-energy, nine-piece ensemble continues the party and takes things to the next level with the release of “Rattle Them Bones.” The follow-up to their lauded 2009 release of “How Big Can you Get? 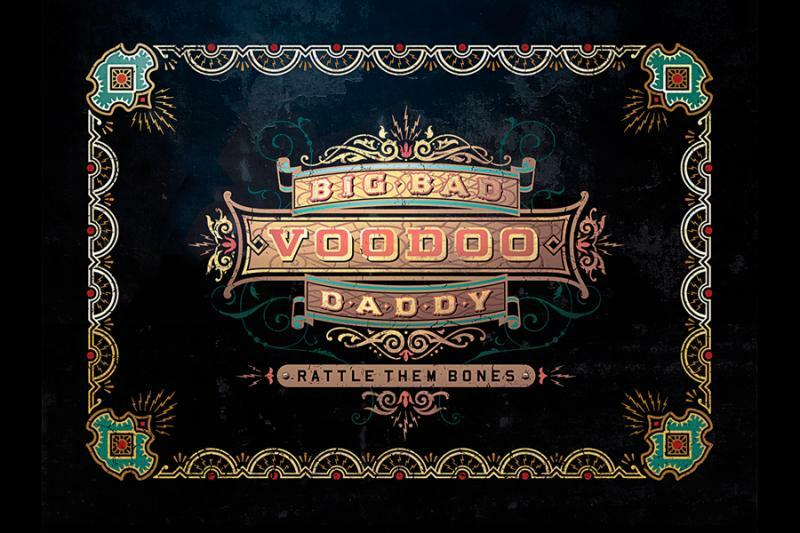 : The Music of Cab Calloway,” “Rattle Them Bones” continues to urge Big Bad Voodoo Daddy’s millions of fans worldwide to shake and move to their inimitable grooves while expanding their horizons with new musical inspiration and influence. For more information, call Arts UC Merced Presents at 209-228-4566 or the Merced Theatre at 209-381-0500. "Big Bad Voodoo Daddy brings its swinging sound to downtown Merced"
impressive following with their energetic live show and incredible musicianship."